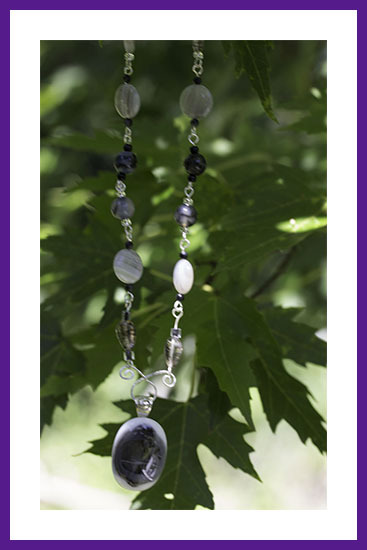 It is a 26 inch handwired sterling silver necklace. It has a wonderful blue and clear striped fused glass cabochon . The necklace is 26 inched long. 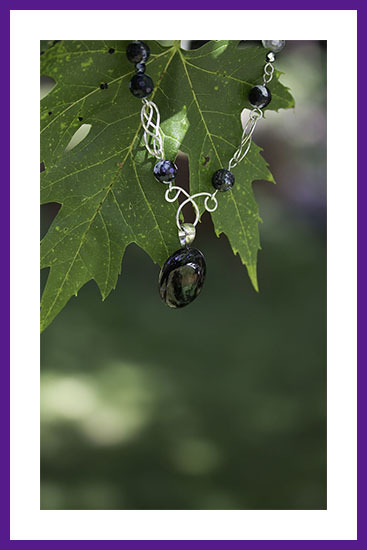 The necklace is made from hand wired sterling silver. 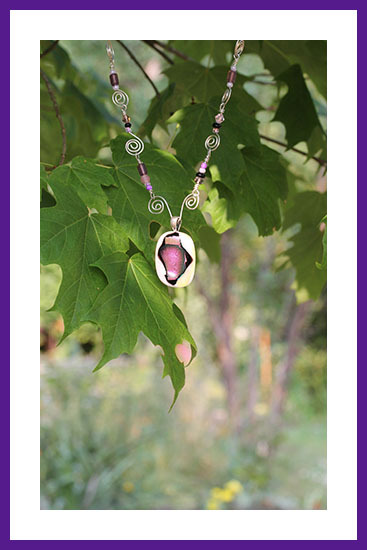 It has two handmade hammered celtic knots. The carbochon is one inch long. It is dark green with a strip of sparkling green glass ronning down the center. The necklalce is 19 inches long. 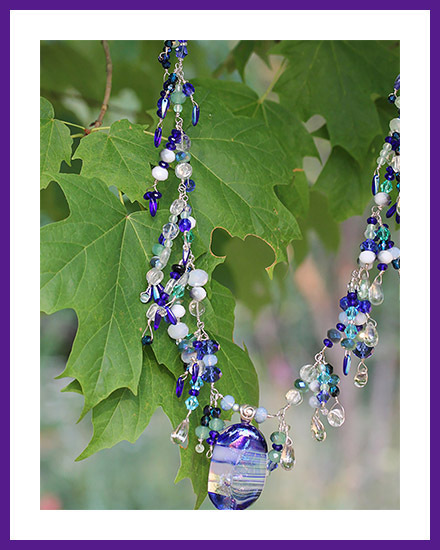 A nineteen inch necklace made with sterling silver and glass beads. It also has a beuatiful grey glass carbochon. 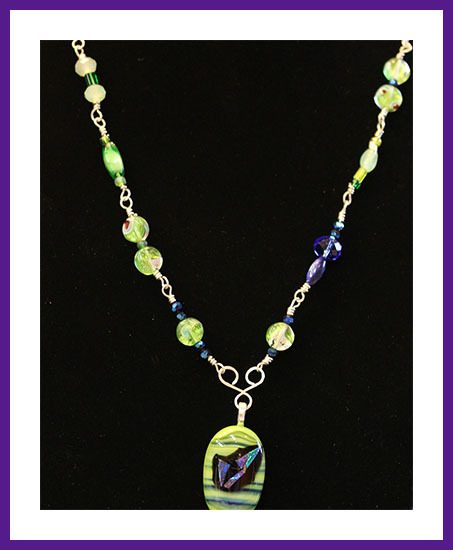 Green Delight is a sterling necklace with three green carbochons, beads, and dangles. It is 24 inch long. Pink Beauty is a 25 inch long beaded sterling necklaces. 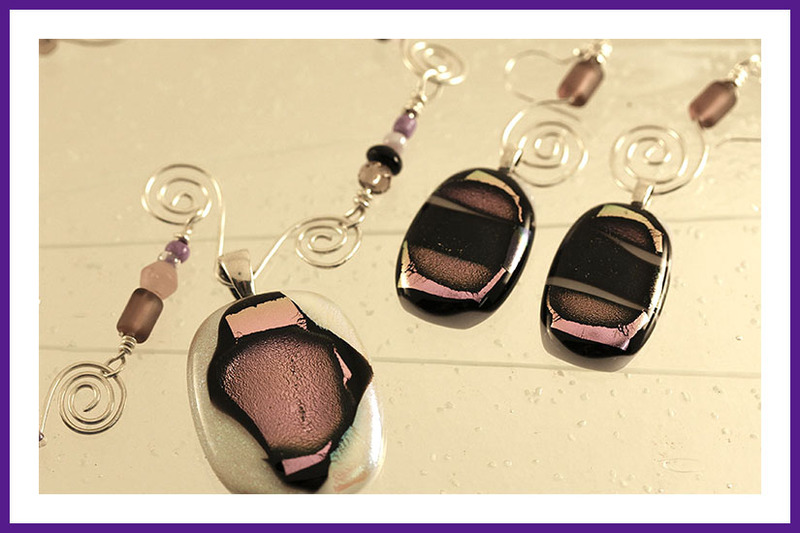 It has a white fused glass carbachon with a pink center that is surropund by black. It is a stricking necklace. A photo of the companion earrings that go with Pink Beauty. 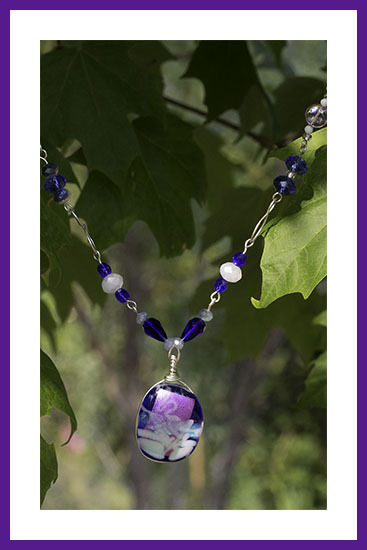 A blue necklace with a square of pink dicroic glass which has a bit of white. It is 24 inches long.